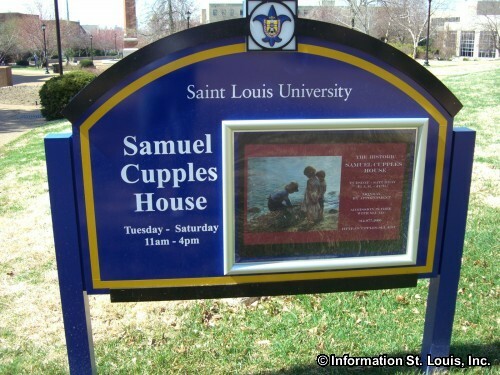 The Samuel Cupples House is one of several museums located at St. Louis University. 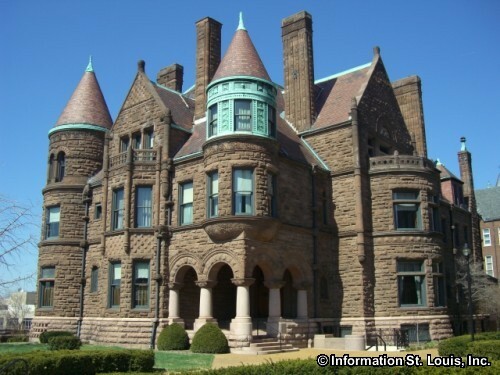 Built in the late 1800s, for the St. Louis entrepreneur, Samuel Cupples and his family, it is an excellent example of Romanesque Revival architecture and is on the National Register of Historic Places. The exterior is constructed of purple Colorado sandstone and features elaborate stone-carved details such as gargoyles of mythical animals and dwarfs for downspouts and delicately carved twisting vines along balcony railings. The interior of the home has 42 rooms and 22 fireplaces and features intricately carved woodwork and Tiffany styled stained glass windows. St. Louis University acquired the home in 1946 using it first as classroom space and a student union. In 1973, it was narrowly saved by Father Maurice McNamee from demolition, who then began the process of renovation and restoration of the home to its former glory. The Samuel Cupples House is now used to display the fine and decorative arts collections of the University, most of which date before 1919. Free self-guided tours of the Samuel Cupples House are available to groups of 15 or less. A docent lead tour is required for groups of 16 or more and is by reservation only. A fee is charged for guided tours.